Looks like I'm only going to finish two quilts for my big "Christmas in July Sewing Marathon". Not much of a marathon, but it's been a busy month, and I am happy with the two tops I did complete. I'm also happy July is almost over, Christmas in July sewing is not really my thing. To make this block I started out with Cindy Lamman's Garden Lattice block, from her Simply Modern Christmas book. Then I made it bigger and swapped out Cindy's center square with that pinwheelish center. 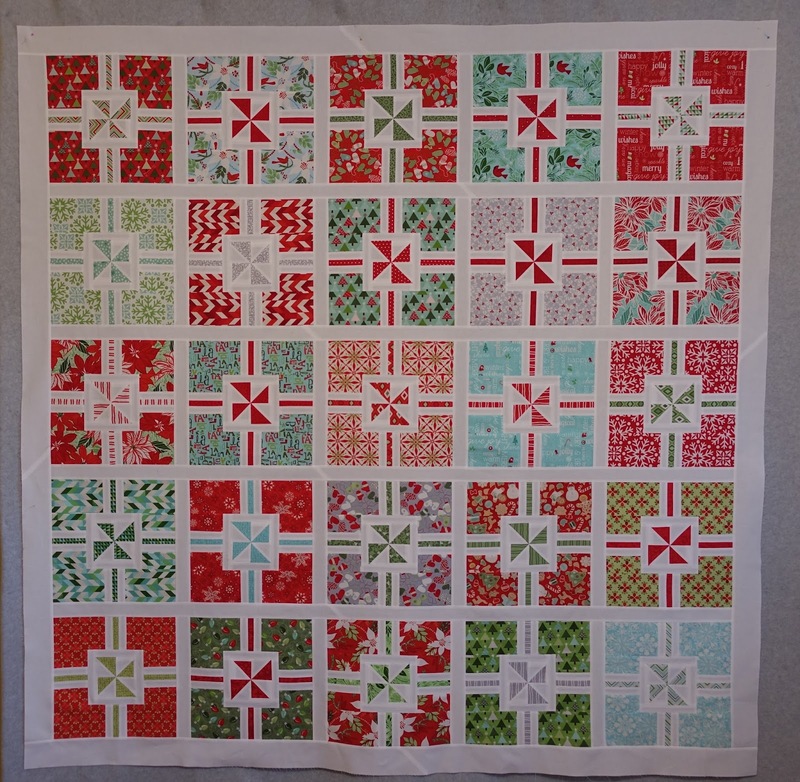 I've had a few requests for the block details, I'll work on a tutorial over the weekend and post it next week, so you can make your own Christmas Morning quilt. I named it Christmas morning because we open our presents Christmas morning, and I think the top looks like a bunch of presents just waiting to be opened. This is Lifetime Quilt Number 183. I've named it Christmas Morning. It finished at 72" x 72". The fabric is by Kate Spain for Moda, several different families. It has approximately 460 pieces. Now on to some summer themed sewing, I bet I can finish a couple of quilts before summer officially ends. Finishes are wonderful but Christmas in July finishes are special for sure. All lovely!! I hoped to get some xmas sewing done too but i'll be glad if I finish even one quilt top ... it's true that July is a busy month. Very pretty! I look forward to what you do next. I agree with Cindy in the above comment...I love it! This is so gorgeous. Love the pinwheel centres! Great work! Your version is so pretty! Beautiful!! What a treasure this will be come Christmas time, Thelma! The block is amazing! You are always fabulous at making a pattern your own.